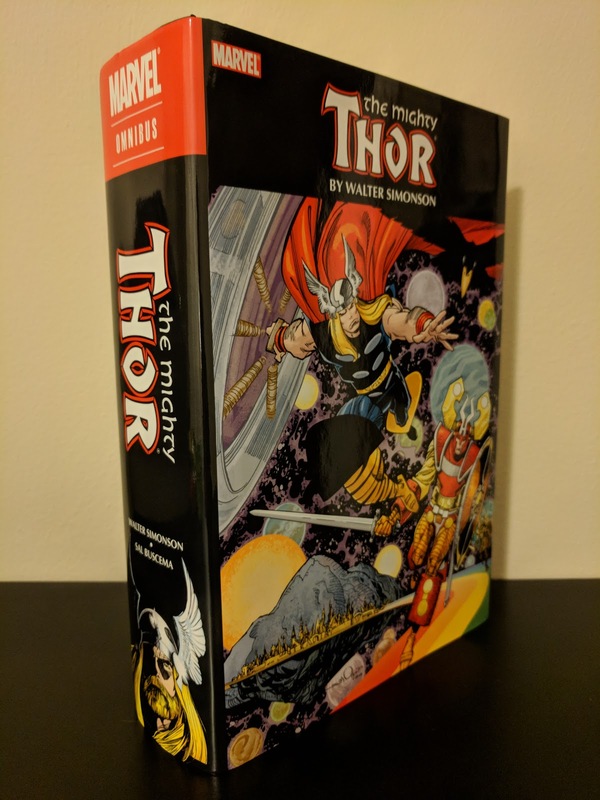 Funny story about my copy of the Thor by Walter Simonson Omnibus: I bought this hefty volume back in 2011 when it was first released. 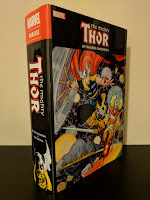 I had no familiarity with the material, but had read enough modern Thor that I felt pretty confident in picking this up (especially after a good friend of mine urged me to do so). I began reading it immediately and had made my way a little more than half way through before meeting (and becoming very distracted by) the woman who would become my wife. As a matter of fact, this was the book that I put down in order to go meet her that fateful night. Needless to say, I found myself spending most of my free time with her as opposed to sitting around the house reading comics. By the time I got back to it, I had completely lost track of what I had read to that point, but had read enough that starting over to refresh my memory didn't seem like a fun idea. 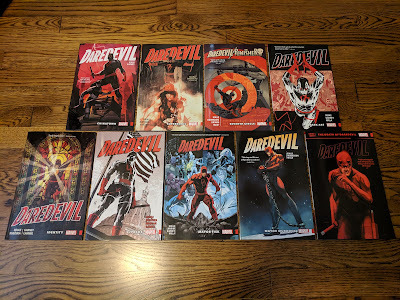 As a result, it was shelved, not to be opened again for five and a half years, when I found myself newly motivated to read this classic run (thanks in part to having seen Thor: Ragnarok). In those five years, this book had become a 'whale' in the collecting world (a highly sought after, difficult to find edition), fetching prices high above its original cover price. Then came a reprint to coincide with the release of the aforementioned Thor: Ragnarok. This volume may no longer be a whale, but in all honesty, I don't care. I loved it so much that I won't be selling my copy any time soon. 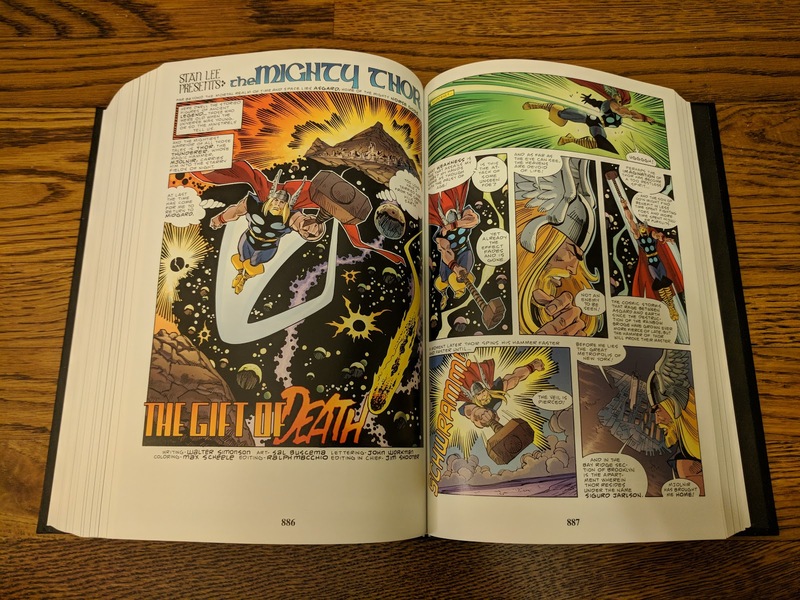 Aside from now being affordable to obtain for those who looking to pick it up, the reprint is a slightly more manageable book, due to the thinner paper stock that was used. 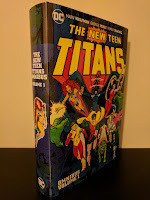 It also sports an illustrated cover under the dust jacket as most modern Marvel omnibi do. 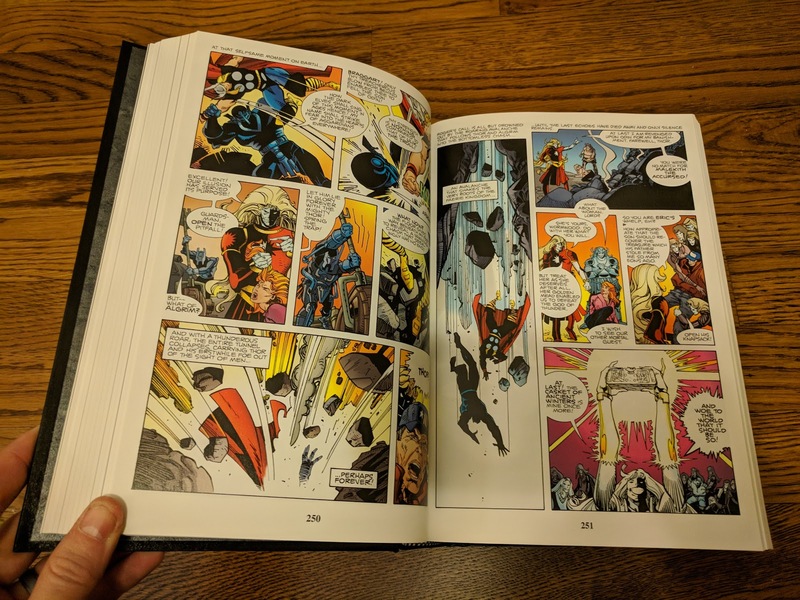 Supposedly the binding on the new printing holds up better than the original, as the volume isn't as beefy, but truthfully I haven't experienced any issues with my copy from the original printing (although I do tend to be overly cautious when handling large books such as this). 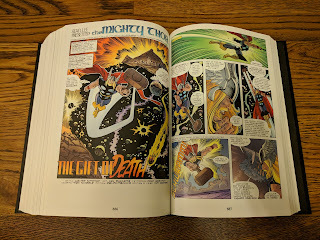 From 1983 to 1987, Walter Simonson put together a truly epic story. One worthy of the Norse Gods that he wrote about. He didn't just weave a wonderful tale, but he also illustrated about two thirds of his run before passing the art duties on to Sal Buscema (who also illustrated the Balder the Brave mini-series included in this collection). 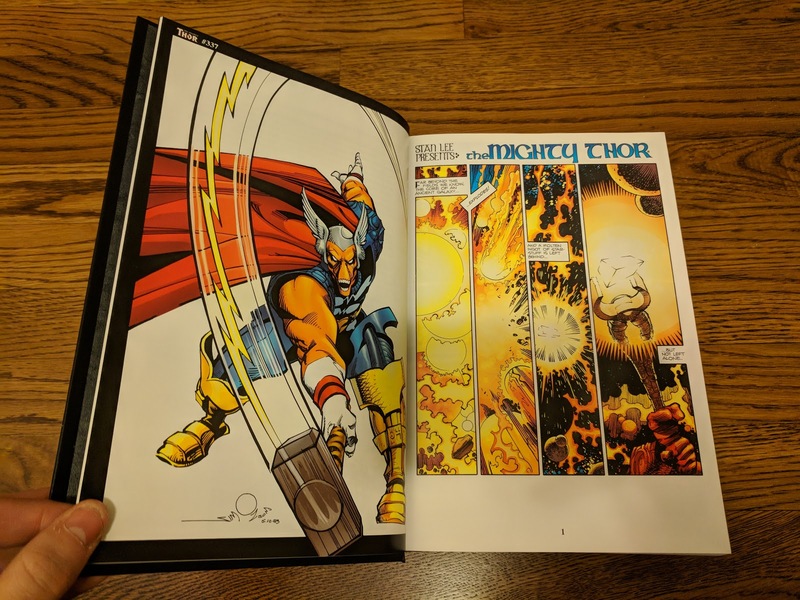 Simonson begins his run by introducing his creation, Beta Ray Bill - an alien trying to save his race from being wiped out and who proves to be worthy of wielding Mjolnir. So much so that Odin forges and enchants an entirely new hammer (Stormbreaker) for Bill. We see the rise of Surter and his attempt to destroy Asgard, including the introduction of Malekith (another Simonson creation, and now-classic Thor villain). From there Simonson does a great job of balancing Thor's adventures between both Asgard and Midgard (Earth), including Thor's dropping the Doctor Donald Blake civilian persona in favor of that of Sigurd Jarlson (poking fun at Clark Kent/Superman along the way), and later doing such crazy things as turning Thor into a frog! The idea sounds completely ridiculous, but those few issues are a lot of fun. I now understand why Frog Thor is such a beloved version of the character. This run may center on Thor, but it also does an excellent job of developing a number of other characters, especially Beta Ray Bill, Lady Sif, and Balder the Brave. The Balder mini-series is referenced on a number off occasions later in the story and it is clear that Simonson intended it to be an important part of his tale. The art throughout the run is exceptional. Simonson had previously drawn twelve issues of Thor (#260-271 - not included in this collection), which I have not read, but from what I have seen online, he used more of a 'house' style in those issues that mimicked the look of many of Marvel's books at the time. In his run that is collected here though, we see the artistic stylings that have become synonymous with Simonson's name over the years. 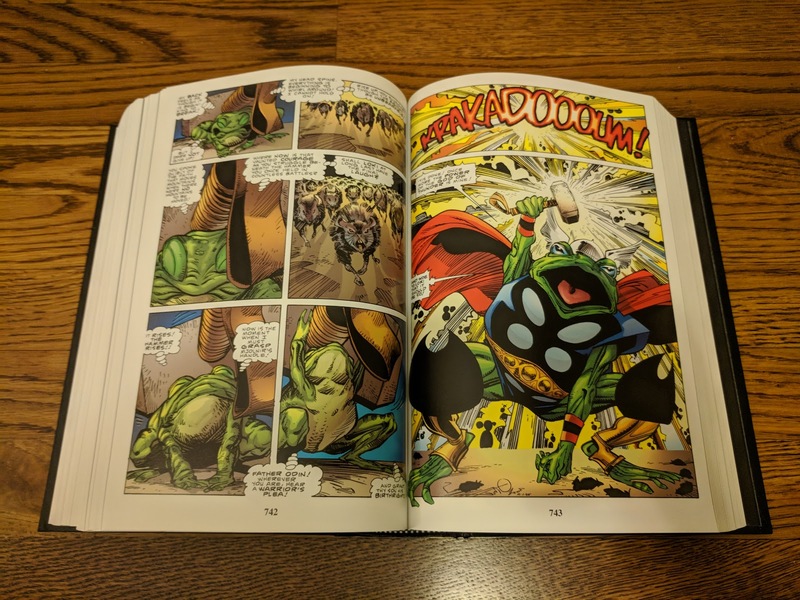 After the Frog Thor tale, Sal Buscema picks up the penciling chores with a very complementary style, and at times provides finishes to Simonson's layouts. One issue in particular stands out: #380 "Mjolnir's Song" as it is comprised entirely of splash pages. I won't discuss details as to not spoil anything, but lets just say that it is an extremely epic battle whose grandiosity is emphasized by full page illustration after full page illustration. 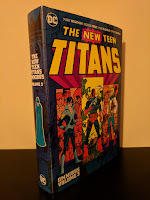 This collection does include remastered colors (provided by Seve Oliff & Olyoptics 2.0), which look quite good, although those who prefer original coloring on their older comics may be disappointed by it. One thing that stands out visually almost immediately in Simonson's run is his use and illustration of sound effects. In fact, they are so much fun that as I was reading this book, I began snapping pictures of my favorites and sharing them on Instagram and Twitter under #simonsonthorsounds. I had been doing so issue by issue, but then fell behind as I became so engrossed in the story and forgot to pause to add new posts. 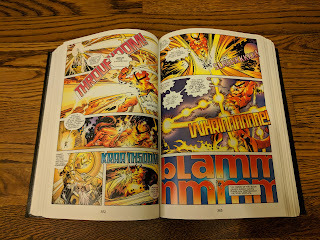 In light of this, I will be going back over the next few days and adding new posts to #simonsonthorsounds for the twenty or so issues that I neglected to share. So be sure to follow me in either place for a little more fun! 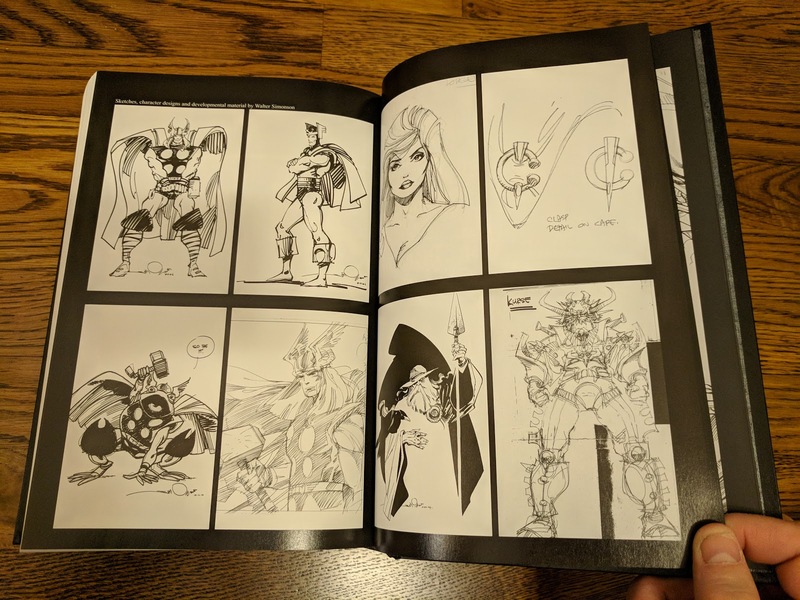 This volume collects the entirety of Simonson's run writing Thor, including the important Balder the Brave mini-series. That's a whopping forty eight issues! 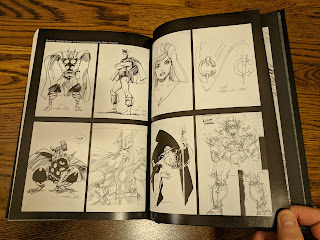 There's also an introduction from Simonson himself, a short afterword (also from Simonson), a number of sketches, house ads, character designs, pin-ups, a cover gallery, and a reprinted introduction from a previously released TPB volume. 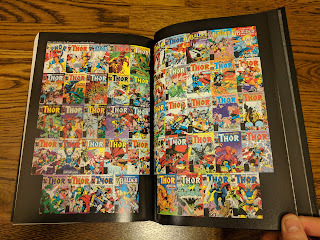 In my opinion, this is a must read run for any Thor fan. Especially now that it has been reprinted and can be obtained in its entirety for a decent price. I'd even extend that recommendation to anyone that likes stories dealing in fantasy/mythology. I'm a little disappointed in myself for taking this long to read this classic, highly regarded masterwork, although I think I had a pretty good reason to interrupt my original read through. This massive tomb was well worth the wait!